If you are interested in a career at Morphic please submit your CV below. Morphic Therapeutic is a biotechnology company developing a new generation of oral integrin therapies. Drawing on integrin biology breakthroughs from the lab of noted entrepreneur and scientific founder Tim Springer, Morphic has developed an exclusive platform to build on these discoveries, complemented by a partnership with computational chemistry leader Schrödinger, Inc., that facilitates the rapid and iterative design of clinical candidates. Morphic was created in 2015 with support from Timothy Springer, PhD, Polaris Partners, Schrödinger Inc., and ShangPharma and raised $51.5M in 2016 from top tier investors. In September 2018, Morphic Therapeutic completed an $80 million Series B financing round to advance multiple programs into the clinic. Last October, we announced a collaboration with AbbVie on a subset of our fibrosis programs. Under the terms of the agreement, AbbVie paid Morphic an upfront payment of $100 million for exclusive license options on product candidates directed at multiple targets. Morphic retains co-development rights in liver indications. Integrins are involved in multiple disease areas, including inflammation, fibrosis, vascular diseases and cancer, and inhibitors are clinically validated. The combination of Morphic’s deep integrin expertise with your skills will enable a rapid path to novel and effective drugs for both orphan and blockbuster indications. In addition, we recently announced that it has entered into a research and development collaboration with Janssen Biotech, Inc. (Janssen) to discover and develop novel integrin therapeutics for patients with conditions not adequately addressed by current therapies. Johnson & Johnson Innovation LLC facilitated the transaction. The collaboration focuses on several undisclosed integrin targets and will explore both inhibitors and activators of integrin function. Under the terms of the agreement, the companies will collaborate through preclinical development to identify and advance candidates. Morphic is located in the AstraZeneca BioHub in Waltham, MA. We seek a highly talented and motivated individual to join our culture of teamwork, craftsmanship, tenacity, compassion, and integrity. Morphic Therapeutic is seeking a highly motivated Research Associate/Sr. Research Associate in Biochemistry and Structural Biology. The successful candidate will be responsible for expressing and purifying proteins of the Integrin family for use in downstream applications such as assays, structural biology, and biophysical characterization. The position will be part of a multi-disciplinary team at Morphic, working together towards transformative small molecule therapeutics for autoimmune and fibrotic diseases. A strong knowledge of biochemistry is required, lab experience in the areas of tissue culture and protein purification being preferred. BS/MS in biochemistry/biophysics/molecular cell biology or related discipline, with 2+ years of research experience. Experience with AKTA chromatography systems, SDS-PAGE, and western blot. Knowledge in basic tissue culture techniques is a plus. Knowledge in X-ray crystallography and structural biology is a plus. Morphic Therapeutic is seeking a highly motivated DMPK scientist (Sr. Scientist to Principle Scientist depending on qualification). The successful candidate will serve as the DMPK expert on project teams to evaluate underlying ADME mechanisms driving PK properties and to enable small molecule candidate optimization and prediction of clinical dosing regimens. The position will be part of a multi-disciplinary team at Morphic, working together towards transformative small molecule therapeutics for autoimmune and fibrotic diseases. A strong knowledge in drug transporter sciences and enzymology is required. Morphic Therapeutic is seeking an accomplished, innovative, and motivated Protein Scientist/Engineer. 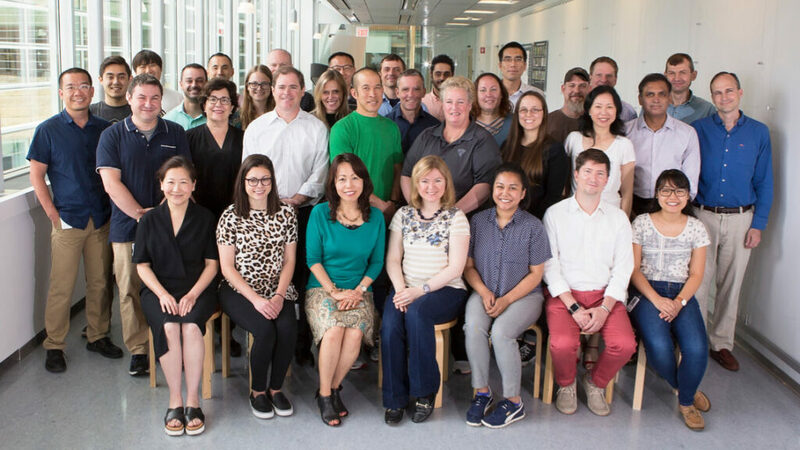 The position will be part of world-class research team at Morphic, working together towards transformative therapeutics for autoimmune, fibrotic diseases, and immuno-oncology. The successful candidate will be responsible for creating novel biologics against disease targets using state-of-the-art yeast libraries. Ph.D. in Biochemistry, Molecular Biology, Structural Biology, or Bioengineering with a minimum of two years of post-graduate research experience. 2+ years of hands-on experience in yeast display and/or phage display, and protein engineering is required. In-depth knowledge of display technologies and libraries is required. Experience in mammalian protein expression, purification and characterization is highly desirable. Experience in antibody affinity maturation and other display technologies is a plus. Knowledge in protein crystallography, cryo-EM, and structural biology is highly desirable. Strong organization, interpersonal and communication skills are required. Morphic Therapeutic is currently seeking an experienced scientist to lead drug discovery efforts in the area of autoimmune diseases. The individual should be highly self-motivated and possess deep, scientific knowledge in immunology. Additionally, he/she will have strong technical research skills, have strong written and oral communication skills, and be able to work productively in a collaborative and cross-functional team environment within and outside of Morphic Therapeutic. The candidate will be expected to design, plan, and execute experiments in the laboratory and provide scientific and strategic input into the disease portfolio. This will include implementation and development of cellular assays and in vivo models representing relevant mechanisms of disease. The candidate will also be expected to lead discovery projects, coordinate research activities across multiple functional areas, and manage collaborative efforts. The candidate will also be expected to launch and champion new initiatives, driving innovation, and serve as a scientific mentor to junior team members. PhD degree in life science with 2-6 years of relevant industry experience in the field of immunology and immune-related diseases. Comparable academia experienced applicants may be considered. Morphic Therapeutic is seeking a highly energetic and organized individual to manage operations of the labs at Morphic Therapeutic. The candidate must be self-motivated and able to interact and communicate with multiple lab members. Comfort working in a lab setting is essential. Morphic Therapeutic is seeking a highly motivated, experienced, and accomplished computational chemist. This person will work closely with Schrodinger scientists in a valued and successful collaboration to advance multiple early – late stage projects. At the same time, the successful candidate will build internal capabilities at Morphic to compliment Schrodinger tools and efforts, as well as interacting with other collaborators. An additional responsibility will be to set the company strategy in chemoinformatics, and address future needs in this area. As an integral member of discovery project teams, the candidate will work collaboratively with multiple scientists in medicinal chemistry, biology and DMPK to advance clinical candidates in areas of high medical need. Morphic Therapeutic is a biotechnology company developing a new generation of oral integrin therapies. Drawing on integrin biology breakthroughs from the lab of noted entrepreneur and scientific founder Tim Springer, Morphic has developed an exclusive platform to build on these discoveries, complemented by a partnership with computational chemistry leader Schrödinger, Inc., that facilitates the rapid and iterative design of clinical candidates. Morphic was created in 2015 with support from Timothy Springer, PhD, Polaris Partners, Schrödinger Inc., and ShangPharma and raised $51.5M in 2016 from top tier investors. In September 2018, Morphic Therapeutic completed an $80 million Series B financing round to advance multiple programs into the clinic. Additionally, in the last 3 months, the company has forged two transformational partnerships with Abbvie and Janssen that include >$100M upfront with future milestones. Integrins are involved in multiple disease areas, including inflammation, fibrosis, vascular diseases and cancer, and inhibitors are clinically validated. The combination of Morphic’s deep Integrin expertise with your skills will enable a rapid path to novel and effective drugs for both orphan and blockbuster indications. Morphic’s laboratories are located in the AstraZeneca BioHub in Waltham, MA. We seek a highly talented and motivated People Operations/Payroll Coordinator to join our culture of teamwork, craftsmanship, tenacity, compassion, and integrity! The People Operations Administrator is a key member of Morphic’s People Operations team and will serve as a resource to employees for all HR areas including, payroll, employee benefits, onboarding, HR programs, policies, communications and HR administration. The People Operations Administrator will interact with all levels of employees to exchange information, and problem solve. The ideal candidate is personable, extremely organized, keeps calm under pressure, and thrives in a fast-paced environment. Bachelor’s degree in Human Resources or a related filed. Morphic Therapeutic is a biotechnology company developing a new generation of oral integrin therapies. Drawing on integrin biology breakthroughs from the lab of noted entrepreneur and scientific founder Tim Springer, Morphic has developed an exclusive platform to build on these discoveries, complemented by a partnership with computational chemistry leader Schrödinger, Inc., that facilitates the rapid and iterative design of clinical candidates. Morphic was created in 2015 with support from Timothy Springer, PhD, Polaris Partners, Schrödinger Inc., and ShangPharma and raised $51.5M in 2016 from top tier investors. In September 2018, Morphic Therapeutic completed an $80 million Series B financing round to advance multiple programs into the clinic. Additionally, in the last 3 months, the company has forged two transformational partnerships with Abbvie and Janssen that include >$100M upfront with future milestones. Integrins are involved in multiple disease areas, including inflammation, fibrosis, vascular diseases and cancer, and inhibitors are clinically validated. The combination of Morphic’s deep Integrin expertise with your skills will enable a rapid path to novel and effective drugs for both orphan and blockbuster indications. Morphic’s laboratories are located in the AstraZeneca BioHub in Waltham, MA. We seek a highly talented and motivated scientist to join our culture of teamwork, craftsmanship, tenacity, compassion, and integrity! Morphic is currently seeking a highly motivative and experienced bioinformatics scientist to work on a variety of genomics projects in the field of autoimmunity, immune-oncology, and fibrosis. This position will work on multiple internal and external datasets for target discovery and hypothesis generation. Morphic Therapeutic is a biotechnology company developing oral integrin therapies. Drawing on integrin biology breakthroughs from the lab of noted entrepreneur and scientific founder Dr. Timothy A. Springer, Morphic has developed an exclusive platform that facilitates the rapid discovery of clinical candidates. Morphic was created in 2015 and raised $51.5M in 2016 from top tier investors. In 2018, Morphic Therapeutic completed an $80 million Series B financing round and formed a collaboration with Abbvie Inc. focused on the exploration of TGF-β biology in fibrotic diseases. In 2019 Morphic has formed a collaboration with Janssen Biotech, a Johnson and Johnson company to explore the potential of integrin inhibitor and activators in multiple diseases. Currently, we are advancing both partnered and fully-owned oral integrin therapeutic candidates into the clinic. Integrin dysregulation is involved in multiple diseases that span including inflammation, fibrosis, vascular diseases, and cancer. Our immediate focus is on the areas where the clinical activity of antibody inhibitors of integrins is precedented thus enabling a rapid path to clinical proof-of-concept. Morphic’s laboratories are located in the AstraZeneca BioHub in Waltham, MA. We are seeking a highly talented and motivated individual to join our culture of teamwork, craftsmanship, tenacity, compassion, and integrity. Morphic is searching for a creative, resourceful and dynamic individual to join our growing company as a Director/Senior Director of Regulatory Affairs and Quality Assurance. The successful candidate will guide regulatory strategies for the discovery and development-stage programs. She/he will be responsible for achieving timely, high-quality regulatory submissions, development of Regulatory Operations systems and functions, oversight of the publishing and submission of INDs, IMPDs, briefing packages, safety reports, and other applicable documents. She/he will oversee GXP activities and provide strategic leadership and management of Quality Assurance activities. The ideal candidate will be a self-starter, who will strive in a fast-paced, collaborative environment. She/he will report to the Chief Development Officer. Ensures the success of regulatory submissions by regulatory authority requirements of FDA and EMA. Leads activities of the internal team and external vendors and consultants to ensure optimal timing, high quality and effective management of these submissions. Ensures development of regulatory strategies for Morphic programs. Productively interfaces with the regulatory experts of Morphic partners. Develops and maintains product technical files. Acts as subject matter expert with responsibility for training representatives from internal teams. Maintains expert knowledge of regulatory requirements of global regulatory authorities. Instructs the team of relevant changes and implements appropriate regulatory strategies to mitigate risks. Defines and implements standards and process for regulatory submission management. Oversees compliant archiving of all regulatory documents and global regulatory correspondence. Ensures all activities and operations are carried out in compliance with local, state, federal, and international regulations and laws governing the quality operations. Implements a quality management system. Manages internal and external GXP audits and ensures continuous audit readiness. Provides leadership of quality functions with an emphasis on product quality, prevention and continuous improvement. Morphic Therapeutic office is located in the AstraZeneca BioHub in Waltham, MA. We are seeking a highly talented and motivated individual to join our culture of teamwork, craftsmanship, tenacity, compassion, and integrity. The Director/Senior Director of Alliance and Project Management will ensure the smooth functioning of the Morphic alliances with its partners. The successful candidate will foster the team spirit in reaching collaboration objectives and will guide the team members in proactive identification and constructive resolution of collaboration challenges. She/he will manage and mentor Program Managers to high productivity in supporting collaboration objectives. The Director/Senior Director of Alliance and Project Management will additionally coordinate the advancement of the key internal development-stage program. She/he will be responsible for creating integrated program plan, for guiding the team of internal functional experts to maintain disciplined execution through anticipating and solving program challenges, and for the articulation of integrated program strategy to the company leadership. The ideal candidate will be a self-starter, who will strive in a fast-paced, collaborative environment. She/he will report to the Chief Development Officer. Manage and mentor Project Managers to high productivity. B.Sc. degree with a minimum of 1-2 years of industry or academic experience in biology, pharmacology, or related field.